Ava&apos;s angry with Nikolas for not telling her all of his secrets. She tells him that he needs to start trusting her. Nikolas explains that Hayden withheld the diamonds from the government, and now he has them. When Ava pushes, Nikolas admits that Hayden has something on him that could send him to prison. Julian is recovering from surgery. After Dante explains the list of charges to him, Julian is handcuffed to the bed. Anna comes in to gloat that he&apos;ll spend the rest of his life in jail. Anna calls him a coward because he was willing to let Alexis take the fall for his crime. 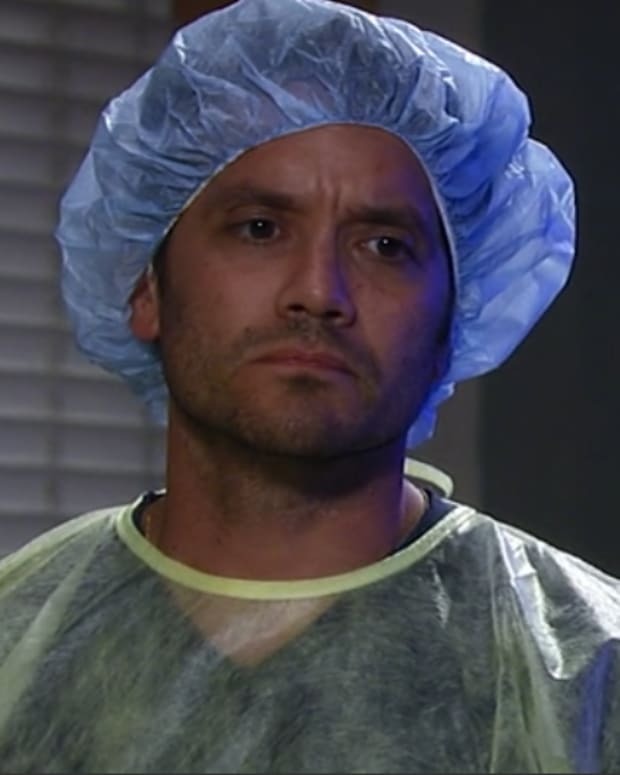 Julian reminds her that she&apos;s a murderer and she thought she&apos;d killed Carlos. Anna says she owned up to that and was exonerated. Anna says she hates him and leaves. Laura tells Lulu that Nikolas is alive and that he staged his death. Lulu is shocked and angry that he would hurt them like that. Laura mentions how Spencer has known all along. As she wonders if they should go to the police, Dante walks up. Finn wants to know who took all of his lab research, but Amy has no ideas. Griffin notices that Finn seems a little off and wonders what it&apos;s about. Hayden explains everything to Tracy about Finn&apos;s medical condition and asks for her financial help. Tracy feels she owes Finn and is willing to help. 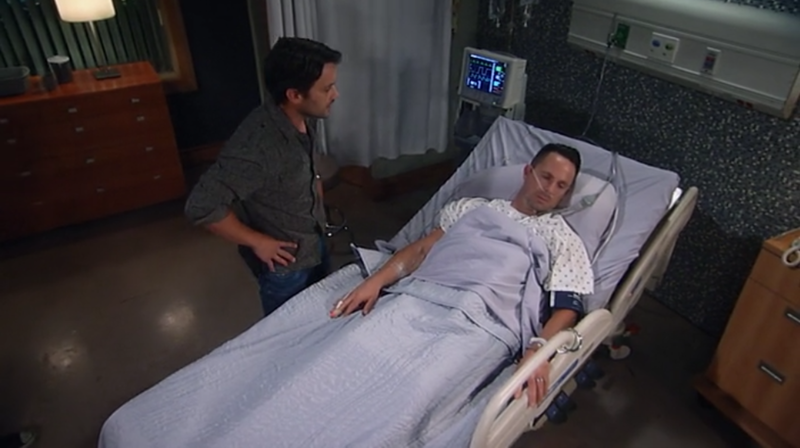 Jason and Sam continue to question Theo, who claims he met Nikolas once as a teenager. Jason assumes that Theo came looking for Nikolas, but he swears he had no idea that Nikolas was alive. Laura explains to Dante that Nikolas is alive. Dante feels he needs to let Jordan know, but Laura asks for a couple of days to find him and bring him in herself. Dante questions if she knows where Nikolas is. Laura suspects he&apos;s on Cassadine Island and Lante agree to go with her to find him. Jason drags Ava and Nikolas down to the living room where it&apos;s easier to keep an eye on them. Nikolas and Theo meet, but Nikolas doesn&apos;t remember meeting him as a boy. Hayden and Tracy show up at Finn&apos;s door and tell him that they are there to help. He points out that getting the drugs is illegal, but the women are ready. Anna explains to Griffin that she was holding onto vengeance, but now she can let it go. She tells him she&apos;s going to visit Robin and Emma for the summer. Griffin admits that he&apos;ll miss her. He then asks what his father would think of him. Anna says Duke would have accepted him with open arms. Theo shows off his Cassadine tattoo while looking through the Cassadine family history book.